Actually, the app is really nice. 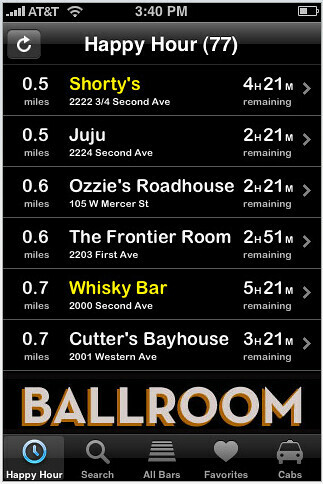 I’m hanging in the apt and the application correctly points out that I better get my rear out the door if I’m going to make the happy hours at Belltown Pizza, Taberna del Alabardero, or Belltown Bistro. Clicking on any of the restaurants actually brings up the details of the special.